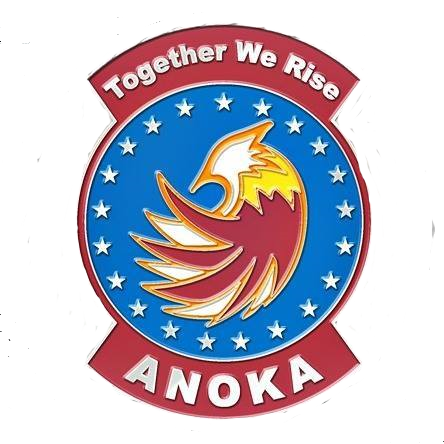 This document will outline both National CAP and Anoka Squadron-specific guidelines and process for cadet promotions at Anoka Composite Squadron. It should also act as an FAQ for Cadet Promotions in general. How often can a cadet promote? What does a cadet need to do to promote? For some achievements, a Drill Test, speech or staff duty analysis essay is required. Check the Cadet Super Chart, look in eServices or ask up your Chain of Command what the requirements are for your next promotion if you are unsure. When I know I have all the requirements for a promotion, how do I get promoted? There is a promotion process. When you are ready for your promotion, you need to inform your chain of command and fill out the Online Promotion and Test Request Form in advance of the meeting. If your requirements are complete, and you do not require a Promotion Board, the Deputy Commander for Cadets or his/her designee will approve the promotion in eServices. You will have the option to have your promotion ceremony at the next meeting or at the meeting of your choice. As the cadet, you will fill out your part of the CAP Form 50 as a self-evaluation prior to the board. The DCFC will have someone in your chain of command fill out a Form 50 as your supervisor. You will bring your completed Form 50 to your chain of command before the promotion board. The cadet’s supervisor will give the completed Form 50 to the DCFC prior to the promotion board commencing. When are Promotion Boards required? The Squadron Commander or the DCFC reserve the right to call a Promotion Board at any given point outside the above list, should he/she deem it necessary. Why does Anoka hold Promotion Boards? We believe that not only should a cadet achieve the testing requirements, but that the cadet show levels of self-reliance, motivation, discipline and maturity. As a cadet progresses through the Cadet Program, we should see skills levels increase. Promotion Boards give us a chance to check soft skill development and make sure that a cadet is progressing and preparing to take on the responsibilities that the new promotion involves. What happens in a Promotion Board? For all cadet officer promotion boards, the Squadron Commander will participate and chair the promotion board. Per CAPR 52-16, the completed Form 50 will be used as a basis for the discussion in the promotion board. In most cases, the cadet will leave the board knowing if he/she is being promoted or retained in grade. What happens if the cadet is retained in grade? If the board feels that a cadet needs to develop more prior to promoting in grade, the cadet in question will receive support and training to assist him/her in meeting the guidelines for promotion. A timeline will be agreed to for the cadet to return for another review board to assess if progress has been met. What skills should a Cadet possess at each required Promotion Board? We look not only at objective requirements (eg test scores), but subjective requirements (eg skill development).